What’s the connection between healthy soils, a healthy climate, and healthy food? What do human and microbial communities have in common? Please join this gathering of extension agents, farmers, researchers, gardeners, academics and climate activists as we explore the importance of soil quality to human health and climate cooling. You'll learn from friends, neighbors, and visionary farmers and researchers the whys and hows of developing healthy soil at different scales--household, municipal, and farm fields. On Friday, February 24th, we’ll spend the morning learning about soil and its impact on our water systems, our built infrastructure, health, and community resilience. During the afternoon we’ll explore what’s hopeful about the local and global soil landscape. We’ll also discuss the roadblocks to developing a shared language and framework around healthy soils. On Saturday, February 25th, we’ll start the day with a keynote by author Didi Pershouse and then learn from panels of farmers, gardeners, city land use officials on urban greenscaping solutions and from soil researchers about the many ways that soil practice is moving forward. Co-sponsors include Antioch College, Central State University, the Soil Carbon Coalition, and OEFFA. Peter Bane is the author of The Permaculture Handbook: Garden Farming for Town and Country, and a frequent contributor toPermaculture Design magazine (formerly Permaculture Activist). In 1994, he helped to found Earthaven Ecovillage in North Carolina where he built an off-grid home of natural materials. A solar energy pioneer, home remodeler, and microfarmer, Peter has provided consulting advice and design to landowners, municipalities, and universities for over 25 years. After moving to Bloomington, Indiana in 2006, he and his partner rebuilt an older home to achieve energy use reductions of 60% measured against the per capita U.S. residential average, based chiefly on the deployment of conventional building materials, passive solar design, grid-intertied photovoltaics, and changes in household practice that include rainwater collection, wastewater re-use, sustained yield harvest of wood fuel, sheet mulching with organic wastes, edible landscaping, and home food production and storage. He went on to advise the city of Bloomington on prospects for an Energy Descent future through his service on its 2008-09 Peak Oil Task Force. 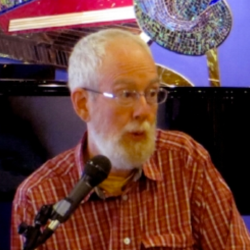 His teaching career has taken him from Canada to Patagonia, and among its highlights are launching permaculture education in the Caribbean island nation of Trinidad and Tobago and helping to inaugurate permaculture design at the Ecovillage Training Center in Tennessee, at Indiana University, and at Paul Smiths College, New York. In 2005 his work in Media, Education, Trusteeship, and Community Development was recognized with the Diploma of Permaculture Design by the Permaculture Academy of Britain. He currently serves on the board of the Permaculture Institute of North America and on the board of the Arthur Morgan Institute for Community Solutions, and is at work on a book about biological approaches to climate cooling. Chad Bitler works as the Research Scientist at the Greenacres Foundation, a research and educational farm located in Cincinnati, OH. His passion for his work stems from an interest in healthy eating, concern for the environment, and his love of gardening, and cooking nutrient-dense meals for his family. Chad’s role at Greenacres allows him to study food production in its entirety – from its impacts on soil, animal, and human health, to its effects on our environment. Prior to coming to Greenacres, Chad worked in nutrition research at University of Cincinnati’s College of Allied Health and Sciences. Chad received his B.S. in Biological Sciences and also his M.S. in Nutritional Sciences from University of Cincinnati. Chad’s current focus at Greenacres is to investigate how agricultural production methods can impact the health of our soils, and the nutritional quality of our food. · A collaboration with Michigan State University developing the largest dataset ever compiled on the nutritional quality of grass-fed beef. The project compares 1000 samples of grass-fed beef harvested from across the United States with the goal of determining if production variables – such as genetics, seasonality, region, grazing methods, forage-bases, etc. – have an affect on the nutritional quality of the end products. · A pilot study with Tufts University comparing the effects that vegetable production methods – such as conventional, organic, or biodynamic – may have on antioxidant levels in produce available for retail sale. · A long-term study designed to investigate pasture cropping rotations for vegetable production to determine outcomes on soil health, product quality, and economic advantages for the farmer. · Studying the impact of cover crops in a pasture-based production system. Peach Mountain Organics farmers Doug Seibert and Leslie Garcia have been raising vegetables, herbs and flowers on their 37-acre farm in Spring Valley since 1992 and have a wealth of knowledge about the growing seasons in southern Ohio. Peach Mountain grows nearly 100 varieties of garlic just to ensure that some of them will survive whatever unseasonable drought, frost or flood is thrown their way. Peach Mountain Organics sells to local restaurants and at local Farmer’s Markets. Sarah believes that water is a critical element for community health and prosperity and communities who enjoy their rivers are more likely to protect their water. She currently serves as the Manager of Watershed Partnerships for the Miami Conservancy District, a 100-year old watershed agency. She has raised more than $12 million to protect and restore healthy rivers and aquifers, and improve and promote river access and recreation. She graduated from Antioch University in 2010 with a PhD in Leadership and Change. She also teaches undergraduate courses in leadership studies, and resource scarcity and conflict. In 2012 she was presented with a Distinguished Service Award by the Water Management Association of Ohio. Bob Huston is a native of Yellow Springs with a career in family metal casting business. He has done small scale homesteading since 1970. He will focus on soil-building through compost, manure, and cover crops; raised beds; no use of tiller; perennials and fruit trees; extend growing season with low tunnels and cold frames. Kim Landsbergen is an ecologist who uses physiological and biogeochemical methods to study carbon and water dynamics in terrestrial systems, usually in the context of climate change, invasive plants, urban ecosystems, and land management. Prof. Landsbergen is a certified senior ecologist with the Ecological Society of America and owner of CarbonEcology Consulting. She has published more than 20 peer-reviewed ecology papers in scientific journals. She also holds an appointment as Visiting Research Scholar with Ohio State University’s Department of Evolution, Ecology, and Organismal Biology. Eric Pawlowski is a Sustainable Agriculture Educator with the Ohio Ecological Food and Farm Association, one of the nation’s oldest and largest organic certification agencies. Eric has extensive experience managing certified organic and biodynamic diversified production and livestock operations. Eric has earned certificates from the International Organic Inspectors Association in organic inspection, and the Ohio State University in FDA/FSIS Food Processing Technology. 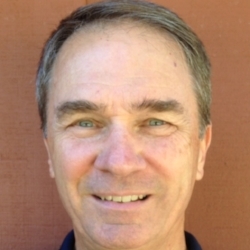 He is active in his community as a parks camp recreation board commissioner, and historical society archivist. 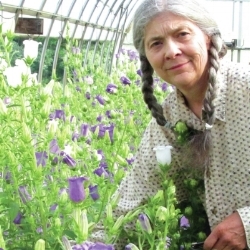 Didi Pershouse of Thetford Center, Vermont is a cross-pollinator, helping to connect the dots between soil health and human health. She is the author of The Ecology of Care: Medicine, Agriculture, Money, and the Quiet Power of Human and Microbial Communities and the founder of the Center for Sustainable Medicine. After 22 years of clinical work with patients, she is now working with the Soil Carbon Coalition on a large-scale citizen-science program that engages schools, conservation districts, farmers, and the public in understanding the intersections between soil, water, public health, and climate resiliency. She develops curriculum on soil health principles and whole systems landscape function, and facilitates workshops that empower communities through mutual listening. Sabrena Schweyer, FAPLD, is a national expert in sustainable design. Co-owner of international award-winning firm, Salsbury-Schweyer, Inc, in Akron, Ohio, she is best known for creating landscapes and gardens that are ecologically sensitive as well as beautiful, personal and healing experiences all for those who enter. Sabrena and her husband/partner, Samuel Salsbury were the 2015 recipients of APLD International’s “Leadership in Landscape Sustainability Award, which recognized their "commitment to environmental sustainability through outstanding leadership, advocacy, projects, initiatives, writing and/or education, resulting in benefits to both nature and the practice of landscape design". Farm girl by birth, city dweller by choice, earth activist by nature, she serves on the board of directors of Great Rivers & Lakes Permaculture Institute, a new hub of Permaculture Institute of North America.